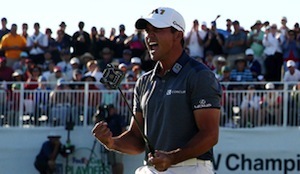 Day realizes childhood dream and claims No.1 in the World Rankings. 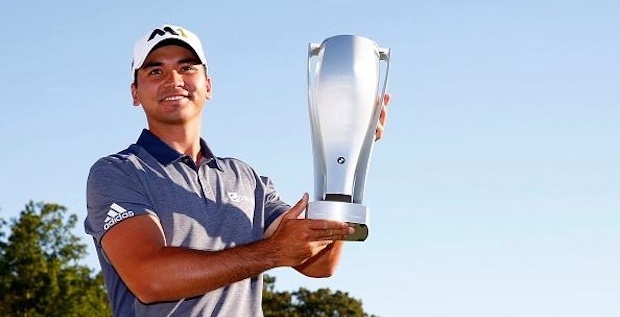 An emotional Jason Day, fulfills his destiny today by winning the BMW Championship by 6 shots and moving to the number 1 player in the official world rankings. His final round 69, was a bit up and down but a couple of late birdies gave him the breathing space he needed to secure the title, his 4th victory in his last 6 starts. Day’s dominance did not come on some dog track against a weak field. This event featured the top 70 in the FedExCup standings and a loaded leaderboard that included Rickie Fowler, Jordan Spieth, Rory McIlroy, Dustin Johnson and Justin Rose on the first page all weekend. It’s just that all those world-class stars were clustered in some sort of “B division” five, six and seven shots back of Day. With the mentoring role of his good friend, Tiger Woods he now seems well placed on and off the course to take his game to a level that will be very difficult to match. His hunger, intense concentration and his ability to close out tournaments is now a feature in his well-rounded game. ESPN’s Paul Azinger calls Tiger Woods a ‘hack’ !